Craving poke and rolled ice cream? You're in luck: a new business has opened its doors in the neighborhood. Located at 1630 E Capitol Expy. in Evergreen, the fresh arrival is called Icey Poki. This new spot features a variety of poke bowls, poke burritos and Thai-style rolled ice cream. 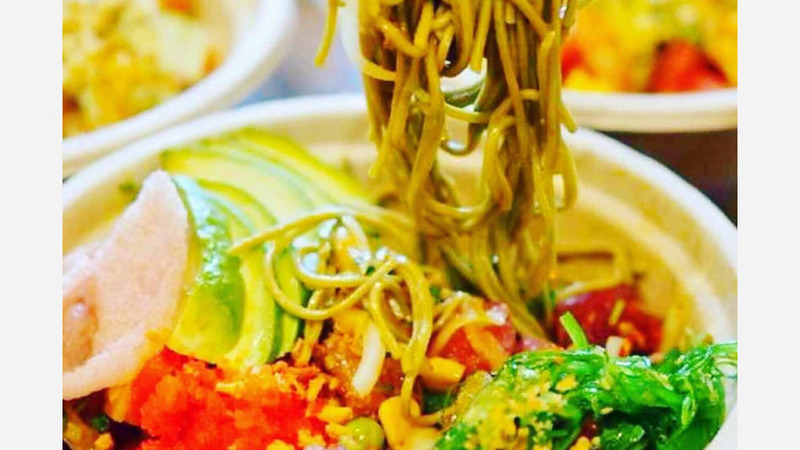 Similar to many poke joints, there's a build-your-own meal concept where customers first choose a base to start like white or brown rice, mixed greens or soba noodles. You can then choose from a selection of proteins, such as ahi tuna, salmon or organic tofu and then add in a sauce like spicy mayo, kimchi or ginger. Round the dish out with a variety of mix-ins like cucumber, avocado or shrimp chips. There are signature poke burritos on offer, too, with imitation crab, salmon and cucumber or hamachi, sweet onion and sweet corn. Icey Poki has proven popular thus far, with a 4.5-star rating out of 20 reviews on Yelp. Timothy B., who was among the first Yelpers to review the new spot on March 2nd, said, "Pretty good selection of proteins, base and toppings. Not to mention there's a poke taco choice as well. I'm kind of picky when it comes to poke bowl places--this one is pretty good to me." And Lonny B. said, "First things I noticed when I walked in was how spacious the store was. Honestly, this seems like the kind of place I could come and chill with a big group of people." Interested? Stop by to welcome the new business to the neighborhood. Icey Poki is open Friday and Saturday from 11am-midnight, and Sunday-Thursday from 11am-11pm.